Finger rings can be worn as a fun fashion trend, a public display of love and commitment, a personal statement, or anything in between. Fingers fluctuate in size throughout the course of a normal day—a ring that fit you in the morning may be too loose by dinnertime. Additionally, if you lose a significant amount of weight, you may find that your ring no longer fits snugly on your finger. 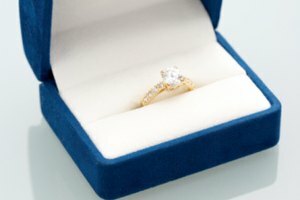 Professional ring sizing is costly and potentially damaging. 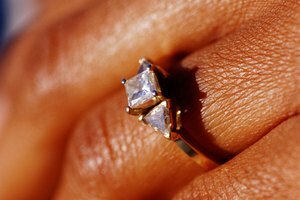 Before you have your ring permanently altered, try one of these quick fixes to make your ring snug again. Buy a plastic ring guard, available at jewelry counters and many department stores. This small piece of clear rubber fits snugly over the back of your ring and keeps it securely in place on your finger. Ring guards are inexpensive, discreet and come in several sizes. 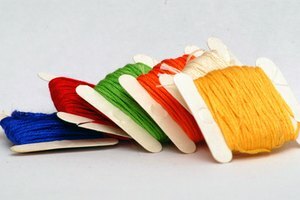 Wrap a piece of dental floss or sewing thread around the back of your ring several times until your ring is the correct size. If using this method, take care to remove your ring before washing your hands, as the wet thread will take some time to dry and could irritate your finger. Wear a snugger-fitting ring on top of the loose ring to keep it in place. This works especially well for wedding and engagement rings, since they are often worn on the same finger to begin with. Squeeze a thin layer of ring guard gel around the inside of your ring. This gel is designed specifically for too-large rings, lasts for several months and is invisible during wear. It easily peels off the ring without damaging the metal or leaving a residue. Let the gel cure for three hours before wearing the ring. Instead of a full resizing, some jewelers can solder small metal beads to the inside of your ring. This method will hold the ring in place effectively, and the beads are easily removed later if your fingers get larger. For a ring band that is too tight, try wearing your ring on another finger or on a chain around your neck. Fingers can temporarily swell due to pregnancy or illness. 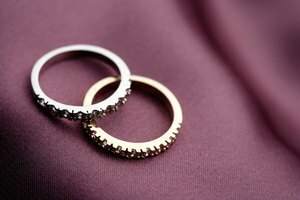 If you choose to have your ring professionally resized, take it to a licensed jeweler whom you trust. The heat generated during the resizing process can damage precious stones and metals if not handled correctly. 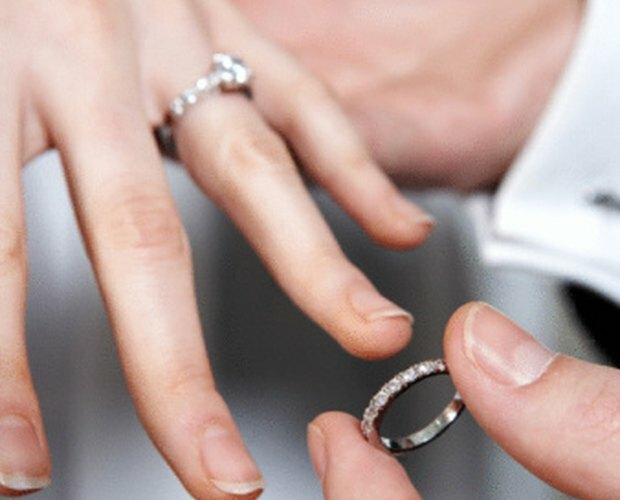 Peer Trainer: What To Do When Wedding Ring Is Too Loose After Losing Weight? Based in Minneapolis, Minn., Alicia Catt has been writing creatively and professionally for over 10 years. She holds a Bachelor of Arts in writing from Minnesota State University and is currently pursuing a Master of Fine Arts degree with an emphasis in poetry.